Together with Greens/EFA MEP Molly Scott Cato, Accountancy Europe hosted a breakfast briefing for the Members of European Parliament on sustainable finance. The debate surrounded how integrated corporate reporting can provide tools to achieve the latest EU sustainability objectives for the financial system. Moderator Olivier Boutellis-Taft CEO of Accountancy Europe cited the vital urgency for all of us, business, policymakers and civil society to start taking sustainability seriously. This begins with accurate measuring of the impact of economic activity on the environment and society. Professional accountants are in the business of measuring performance, providing transparency and reliability. They are the instrumental partners to help the EU lead in harnessing finance to make our economies and societies sustainable. Whether it is energy, raw materials or biodiversity, the clock is ticking and we work hard to deliver. Caroline Wellemans, Deputy Head of Unit, European Commission DG FISMA, spoke about the vital role of the financial markets in the transition towards a circular and low-carbon economy. She explained the work that the Commission is doing to build a financial system that supports sustainable growth. Europe is determined to implement the Paris agreement, but public finance alone will not be enough. That is why the Commission put forward an Action Plan to incentivise private capital towards sustainable investments. Three concrete draft laws have already been put forward. The first one is to establish a unified classification system – taxonomy – to define which activities can be considered as environmentally sustainable. The second is a proposal on positive-carbon-impact and low-carbon benchmarks. And the third is a requirement to asset managers and institutional investors to disclose how they integrate ESG factors in their investment decisions. Amongst the next steps, the Commission is looking at how to enhance sustainability disclosure by companies. The accountancy profession has an important role to play in this endeavour. Accountants are very well-placed, to support the development of corporate reporting (including non-financial reporting); to accommodate long-term horizons and to address stakeholder needs on sustainability disclosure. 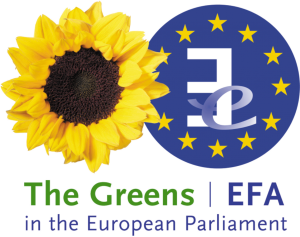 Molly Scott Cato MEP (Greens / UK), is a tireless campaigner on sustainable finance and urges tying investment portfolios, such as national pensions, to ethical, sustainable companies. Sustainability is not a nice-to-have niche, but a mainstream imperative. She believes that if sustainability was at the core of finance, then businesses would get on board much more enthusiastically and become the biggest catalyst for change. However, she notes that it takes time for companies to achieve more sustainability in their operations. She urges rewarding companies that are already sustainable, but also those that are on the path to becoming sustainable. The accountancy profession has a key role to play in measuring a company’s real footprint beyond its profits and losses. She urges accountants to make the shift to integrated reporting of financial and non-financial information to produce accurate reports on the status of business. Wim Bartels, Advisor on Corporate Reporting for KPMG and Deputy Chair of Accountancy Europe’s ESG Reporting task force, is a strong advocate for broadening the scope of corporate reporting and moving to integrated reporting. He notes that financial reporting alone is not sufficient to see how a company is performing vis-à-vis the environment. More accountants and accountancy firms need to get involved in the reporting of non-financial information. He further urged policymakers to ensure that the definitions of what is sustainable are firmly set so that there is no possibility to evade or comply in a manner that is simply greenwashing. The debate ended with the firm agreement of the European Parliament and Commission representatives on the strong role that accountants can play in making finance more sustainable. The accountancy sector is working to take up this challenge and meet the needs to make finance sustainable. Blog: Sustainable finance: what’s it got to do with accountants?